444 Porto GuestHouse invites you all to discover Oporto while enjoying the high standards of quality, comfort and welcoming atmosphere of our guesthouse. 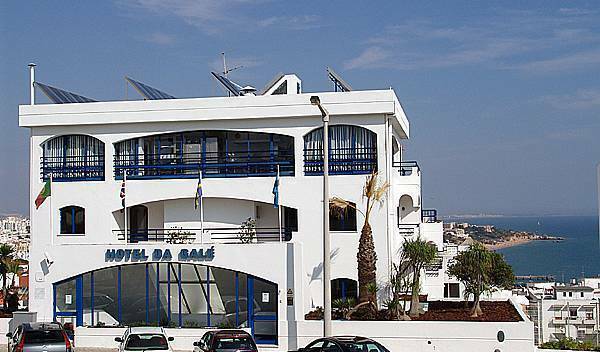 Da Galé was built in 1982 and is located in Cerro da Piedade, the highest part of Albufeira, about 300 metres from the town centre. This Guest House is set near the famous and romantic Santa Eulalia beach. Just 4 Km from the capital of tourism in the Algarve. 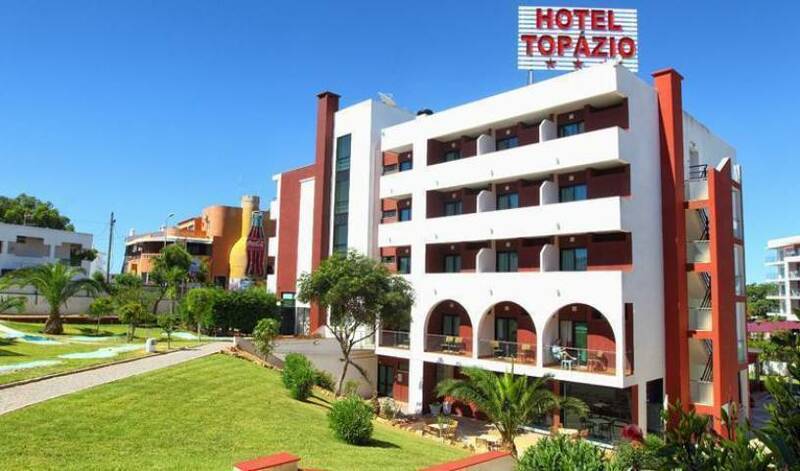 Hotel Topázio is situated in Areias de S. João, 200 metres from Aveiros Beach. Its modern rooms and apartments have private balconies and there is an outdoor swimming pool. Apartamentos Regina*** is located on Rua 5 de Outubro, 100 metros from the Algarves leading beach (Praia do Peneco) and 50 metres from the heart of the Algarves tourist capital, where you will find bars, discos and restaurants. 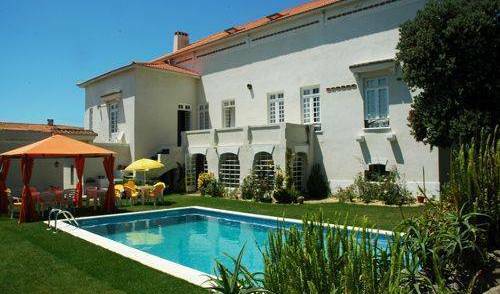 Manor house near Lisbon, allows you have a tranquil stay and the opportunity to visit several historic sites. Located in Lisbon city centre in a historical building, this charming guest house offers a picturesque garden and freshly prepared breakfast each day. Pico da Urze Hotel, located amid the heart of nature, offers the best you can have - peaceful rest provided by the landscapes, the most beautiful ones you can appreciate on Madeira Island. Distancing only a few kilometers from important centers like Vila do Conde and povoa de Varzim, the Quinta São Miguel de Arcos, harmoniously integraded in a beutifull natural landscape, invites all year round. Beach Break Hostel and Apartment - Praia da Areia Branca, Portugal. Low cost accommodations near the beach. Friendly and informal atmosphere. All bedrooms with ensuite bathrooms. Fully equipped kitchen. Water sports, sunny beaches nearby, Lisbon 45 minutes away. Located in the heart of Braga city centre, this hostel is surrounded by restaurants, shopping centres and museums . We are pleased to offer you 40 comfortable guest rooms with bath/shower, Cable-TV, air-conditioning, including breakfast and non-smoking rooms right in the historical heart of Braga. This modern hotel offers rooms with private balconies and amazing views over Braga. It has a restaurant and bar for drinks. Flat-screen TVs e LCD , free internet wireless in all Grande Hotel rooms. The Liberdade Guesthouse is a fully restored apartment built in the 1950s situated in the major pedestrian avenue of Braga. With unusually large, illuminated rooms and great views, it offers a quiet, intimate experience of the city right from its heart. A qualidade do Hotel Peninsular revela-se em todos os momentos da sua estadia. Todos os quartos têm Casa de Banho Completa, Ar Condicionado, Telefone, TV Led, Wi-Fi e varandas panorâmicas que asseguram o seu bem-estar. Hotel in Carcavelos, Cascais. 20kms from Lisbon Centre. 100mts from the largest beach of the Estoril Coast. Quinta de Cima Guest House is THE SPECIAL PLACE to spend your holidays! Our hostel is run by a family; therefore you will find a very friendly, cozy and informal atmosphere in house! Hello and welcome to the Ljmonade! We are a cosy hostel right in the centre of Cascais, Portugal. This is not just a place to sleep – we organize lots fun of activities every week! If you are looking for a different kind of hostel you're going to love our country style house right in town's centre. Perfect location, lots of space and an amazing garden. Estalagem Muchaxo is situated in Guincho beach, Cascais, close to the westernmost point in continental Europe (Cape Roca). Guincho beach offers a revitalizing contact with nature as well as support for the practice of surfing, windsurfing and kitesurfing. Located on a quiet and private condominium at the exclusive Quinta da Marinha, Cascais, just 200m away from the ocean, shops and restaurants and 3mn drive both from the beach (Guincho) and Cascais town centre (20 minutes from Lisbon). This beautiful house overlooking the bay of Cascais, belonged to the Dukes of Palmela, late in the XIX century. More recently it became the Villa Albatroz, a luxury Guest House, totally renovated and redecorated. If you come to Coimbra you have to stay with us! Located in a privileged area, just five minutes walking to the historic area, ideal to discover the great natural, historical and cultural heritage of our city. The perfect place to sleep!! In Coimbra the building of the old Bissaya Barreto’s Maternity Hospital and , lately, the Music’s Conservatoire welcomes now the birth of Serenata Hostel. EN: Charming 4-star hotel in the historical center of Coimbra, classified as World Heritage. PT: Hotel de charme de 4 estrelas no centro histórico de Coimbra, classificado património da humanidade. Beach, swimming pool, sport. Noble zone of caparica for holidays or weekend. Our Bed and Breakfast offers an inexpensive warm and friendly environment. Let yourself sleep into a great atmosphere and relaxed environment, finding home away from home. Stay at an amazing location – the best location - in a walking distance from the spots of the Ericeira World Surf Reserve and the old town center. The Hotel Rural Quinta dos Bastos is the ideal place for your stay in Évora! Mestre D`Avis Residencial is located in the city centre of Faro. Completely renovated your hotel in Fátima Portugal, two minutes from the Sanctuary of Fatima, your Hotel in the city center. Close to one of the most visited shrines of the world, you will find Hotel "Cruz Alta". Madeira Happy Hostel is waiting for you. Enjoy it with the most amazing view of the island and the relaxing sense of being home. Close to the centre of the city, lots of facilities and the incredible experience of meeting people from all around the world! Hotel Apartamento da Sé is a 3 star hotel situated in the center of Funchal in the core history of Cathedral, 50 meters from the cathedral, next to the Sugar Cane Museum. Apartment located 10 minutes walk from the beach, and near the city centre. small luxury hotel secluded between mountains and the sea, enveloped in 25. 000 sqm of luxurious gardens, with sweeping views of the mountains, sea and Funchal's amphitheatre and bay. Quinta da Bela Vista is located in the outskirts of Funchal. We are unbeatably located in the historic center of Lagos. Everything is available on foot. Our guests are within minutes in the famous beaches of Lagos and at the center of one of the richest, diverse and fun nightlife areas of the Algarve. Sitting in the centre of the beautiful town of Lagos in the Algarve. This new, funky and friendly hostel puts you in the centre of the fun. While at the same time offering a safe haven from the madness. #Taghostel #For Travellers & Surfers. #Premium Location #Premium Comfort # Most of the Rooms with Beach & Sea View #Super Breakfast # Patio with Beach View #BBQ Parties # Walking distance from Beach, Bars, Restaurants #Surf School #Surf Courses. New Hostel thought to please everyone, parents, children and grandchildren, groups, etc. BBQ and pool. Pleasant atmosphere. Pacheco's Guesthouse is a hostel licenced by Lagos city hall. We offer you quality, clean, quiet, fresh and cosy rooms. 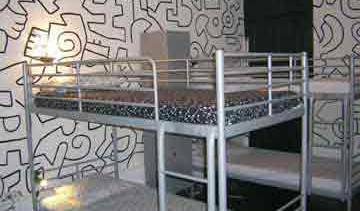 Authentic hostel located in the Lisbon city centre. Ofeering guests a true Lisbon experience. Enter as a stranger, leave as a friend! Hello, We are a new Hostel in the center of the beautiful town of Lisbon, we have got 8 rooms, 3 private double bedroom and 5 shared dorms, we have a community living room. Placed next to the famous Avenue called Avenida da Liberdade - Baluarte Citadino Hostel - offers you a place you can call HOME. When you came to Lisbon visit us and you will have a nice stay. Confortable, romantic and beautifull rooms in CENTRAL Lisbon. 1m from R. Augusta/Rossio! 2 m from Pr. do Comércio!10m from Castle, Alfama and Bairro Alto! The apartment is located in a typical area of ​​Lisbon, very close to Baixa- Chiado , Bairro Alto and Santa Catarina and near public transportation. Hostel in the heart of Lisbon, with good quality and price rates. Located close to the main shopping centres, it covers an area totally planted with trees (36 Hectares) and was recently improved in order to maintain its four-star status (the highest star-rating given to camp-sites in Portugal). Pretigious building in the city's historical centre and main pedestrian area (the Baixa) Located on 4th floor, with a great view of the St. George Castle. The guest house is located a 10-minute walk away from downtown. On the way, you can find several stores and pastry shops that give you a glimpse of Portuguese everyday life. Lovely downtown Accommodation. Clean, Cookings & Laundry Facilities. Privates ensuite- Doubles, Triples and Twins, Shared- Female & Male Dorms. We are near Lisbon Castle in a full restored XIX century building, with a terrace with an amazing view! We have Central heating. Our first class Residencial is located in the centre of Lisbon, very close to Restauradores Square. You will find in this residential a familiar environment, bring your family too, we also have at your disposal apartments all equipped. The hotel offers 32 rooms with all the home comforts. Fully equipped bathroom, Air Conditioning, Radio, Satellite TV and Telephone. Sweet Home is a modern and renovated hostel in the historical city center. NEW!! Renovated duplex apartment located in Principe Real (close to Bairro Alto) a charming neighbourhood in the heart of the city. Self catering and with original 60s furniture. Aykibom Hostel is in Lisbon city center with easy and cheap access to all the city by subway. You can opt for dorms, double rooms, a suite and even your own apartment, all with that Portuguese charm. Each one has its own personality and history - which, on the other hand, are part of Lisbon's Story, our very unique inspiration. Home in Lisbon2U Hostel está situado em Lisboa, 1, 5 km de Avenida da Liberdade e a 2, 1 km de Rossio. Os hóspedes podem desfrutar de um bar no local. Cada quarto dispõe de casa de banho partilhada. We are a small hostel located in the most important square of Lisbon Downtown, with an amazing view over the historic parts of Lisbon. We wanted to raise the quality standards of an hostel so we created a comfortable place with a distinct design. Known for having a pleasant family, clean and cosy environment. Lisbon City Hotel located in Lisbon downtown. The newest hotel in Lisbon in its category. Comfortable, luminous and silent room with double bed and private bath in prestigious 18th century building in the city's historical centre and main pedestrian area (Baixa). Who said that luxury isn’t affordable? Experience more for less! With 96 rooms completly renovated offers the Tourists who visit Lisbon a central and quiet location overlooking the Eduardo VII Park. We rent economic, simple and reliable campervans, for those wishing to explorePortugal on a low budget. Opened in 1968, the charming 119-room Tivoli Jardim, enjoys a privileged location. The Tivoli Tejo Hotel, recently open to the public, offers its guests state of the art services and facilities, both for leisure and business purposes. The Hotel Flora located in the quite Thermal city of Monte Real offers since this year to his guests a new concept of wellness. I will now to present you LUX MUNDI HOTEL situated in the Centre of the old Village of Fátima, nowadays a Small Town with a population of about 15. 000 persons. The Lux Fátima is the most recent 4 star hotel in town. Located just 100 metres from the Sanctuary and Santíssima Trindade church. Historic luxury Hotel located on the top of an imposing hill within the walls of the Castle. One of the best architectural fortresses in Portugal, specially known for it´s location and magnificient views that it has to offer! Ideal para quem procura o bem estar num ambiente acolhedor de cariz familiar, a Pensão Avenida é um complexo que dispõe de 19 Quartos devidamente equipados. Bed & Breakfast at only 35 km from Coimbra, in the centre from Portugal. Featuring a furnished rooftop terrace, Welcome Hostel is a 5-minute walk from Peniche’s beaches. Swordfish Hostel is a modern hostel with decoration Upcycling, Recycle, Reuse and Reduce Materials, so The Upcycling starts with us. It is situated in the Heart of the City. Hostel Santa Maria of the sea is located in Peniche, situated history. Defending the idea that we are the westernmost Hostel in Europe we are 100 meters from the sea, with a magnificent panorama, which may be seen bottom Berlengas island. Situated in a rural environment, the traditional architecture and lovely gardens of A Coutada provide a peaceful and relaxing atmosphere, offering all the features and amenities needed to ensure a delightful visit. A Natureza e o espaço ideal para relax. Supertubos guest house is a house situated at 300 meters from the famous supertubos beach in Peniche. The house is situated in a very quiet beach and countryside area. Welcome to Lagido Surf House. We are a modern, fully redecorated Surf House offering cheap accommodation in Baleal Island. Located in Baleal Island, provides our clients with a different housing, where leaving home is to be on the beach. Surf and Bodyboard School in Peniche. Portugal. Surf and Bodyboard lessons, Surf Guiding, Surf Trips, Surf Rental, Free surf, Surf house, apartments and rooms. Peniche kite and surf center provides surf and kite camps with accommodation in surf and beach houses that are situated 50m from beach. Open all year. Our objective is to offer the best stay in the city and help you to experience the best the city has to offer. So Cool Hostel Porto offers modern, private and shared accommodation in one of the most central avenues of Porto, Avenida da Boavista. The Wine Hostel is a themed hostel, where the famous and unique Port Wine is an inspiration. 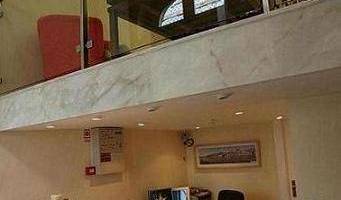 The Hostel is located in a centenary building in Porto historical centre with views facing the Cordoaria Square, near the centennial coffee Piolho Café. Santa Clara is a small and cozy hotel in the city center. Its aim is to provide a complete service with all features that an hotel has but in a calm atmosphere with comfort. Excellent location, just few minutes away from the most interesting places of Oporto. Residencial Monte Carlo is a charming logement, recently renovated, to tourists looking for a quality service in a cozy and quiet atmosphere. COSY HOTEL IN CENTER OF PORTO. A traditional centennial house in the city of Porto with 7 rooms. Located in the avenue where the luxury hotels of the city are, this guest house is the alternative to those who look for a more personalized service and a quiet environment. Welcome to our friendly guest house! Excellent location, very close to Casa da Musica, Museu de Serralves and Ribeira with the famous Porto's wine cellars. Excellent location, in the heart of Oporto city. Located in the heart of Oporto city. Pão de Açucar offer to his guests a friendly and agreable place to stay. Vera Cruz Residential stands for charm, good taste, privacy and comfort. Come to the HEART OF OPORTO – the BAIXA. Just renovated the Bandeira 3rooms will allow you to check-in, shower and load your PC/IPAD and immediately start your visit as city center is just outside the door. Situado entra o verde da serra e o azul do mar. Ideal para amantes da natureza. 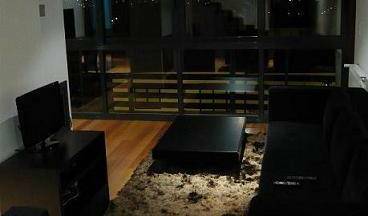 Located in a place where quietness and nature are inherent characteristics. Its charm and excellence turn this comfortable hotel into a place of reference of mandatory visit. Onthebeach hostel, pratice yoga, learn how to surf or just relax in a outstanding place at Portuguese weast cost. Opened on July 1, 2012, Villa Joaninha is ideally located in Praia da Rocha, one of the most beautiful Algarve beaches. Memmo Baleeira Hotel is the only Design hotel in Algarve and it is perfect for a relaxing stay as it surprises with the stunning views and calm environments. Come visit ou hotel and you will go back with a Memmorable experience. In Marvao, the highest village of Portugal, you can enjoy a really good view over the fields of Portugal and Spain in our comfortable rooms. In our restaurant, you can appreciate regional gastronomy. Alojamento local diferenciado em Lisboa, quartos de casal ou duplos. Located in Setúbal (Blue Coast), one of the most sought spots in Portugal by tourists, is proud to say it is a hostel with high standards but with a familiar environment that will make you feel like home. Excellent quality / price ratio. allmar is a new hostel, new concept, sea as motive. The Nice Way Sintra Property provides you with the best comfort, atmosphere and the feeling of "being at home" in Sintra. Sleep and Surf with Adraga Surf Camp & School! Recently opened in February 2011, Nice Way Sintra Palace is located in a totally refurbished old palace house in the center of the mysterious and romantic town of Sintra. Tivoli Sintra Hotel is situaded in the Historical Center of Sintra - World Heritage by UNESCO - Modern Hotel facing the Future in one of the most beautiful landscapes! Conference facilities, golf packages & agreements are some of Our best! 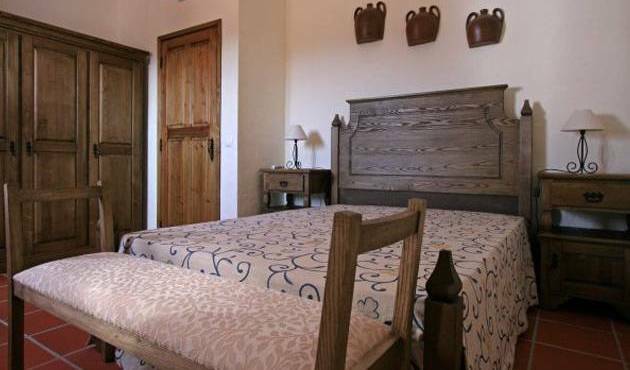 A family run B&B 10 mins from the historical town of Tomar. A great 70's house where you feel like home! A Casa da Ponte de S. Pedro is a typical granite stone country house from the province of Minho, in the North of Portugal. Its first registration dates back to August, 22nd 1882. The perfect secret getaway with all the pampering and tailor made service guests can expect throughout their stay. The owners speak fluent English, French, Portuguese and Spanish. Located near the sea and about 4 kms from the centre of the Village, the Hotel Vila Baleira Thalassa was originally built as a wellness hotel and is the better equipped hotel on the Island. Located in Belver, Quinta Do Ribeirinho offers comfortable rooms with access to an outdoor pool surrounded by the peaceful rural landscape of the Alentejo. FREE ACCESS to Inside Swimming Pool and to Gymnasium. New Hotel constructed in 2006, with 86 rooms, restaurant, bar and stay at 50 metres from a beautifull large lake.